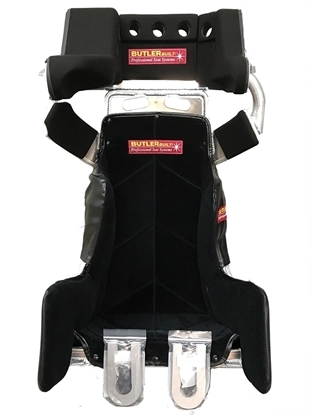 Sprint and Midget Advantage Series Racing Seats. BUTLERBUILT'S SPRINT ADVANTAGE SLIDEJOB... THE No. 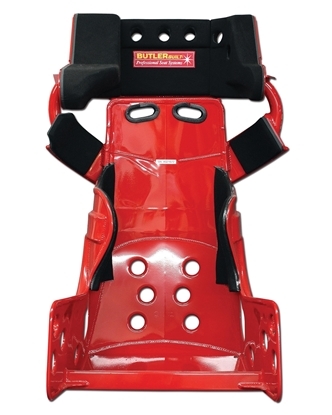 1 choice for Sprint Car Seating! This seat is built for an EZ Sert pour-in insert: No upholstery or contoured seat bottom. The Midget Advantage Slidejob is BUTLERBUILT'S No. 1 seat for dirt and asphalt Midgets! 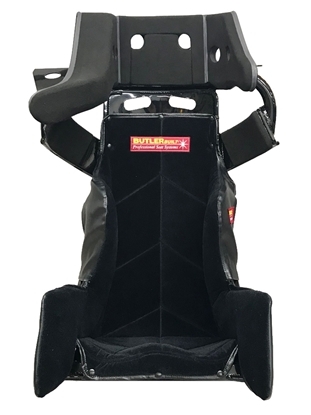 Same seat as Sprint Advantage Slidejob with shorter length seat bottom and leg extensions for easier fitting in Midgets. Available in custom sizing ONLY. We need your driver measurements in order to build the Midget Advantage for you. Lead time on custom seats depends on time of year. Same seat as Sprint Advantage Slidejob with shorter length seat bottom and leg extensions for easier fitting in Midgets. This version of the seat is built for an insert pour (no contoured bottom or upholstery). The Midget Advantage is a great option for dirt and asphalt Midgets! Same seat as Sprint Advantage but built with shorter seat bottom to fit in Midgets.